DianeSchwobZubrick: Thermofax Silk Screening and Gelli Plate Monoprints with my Students! 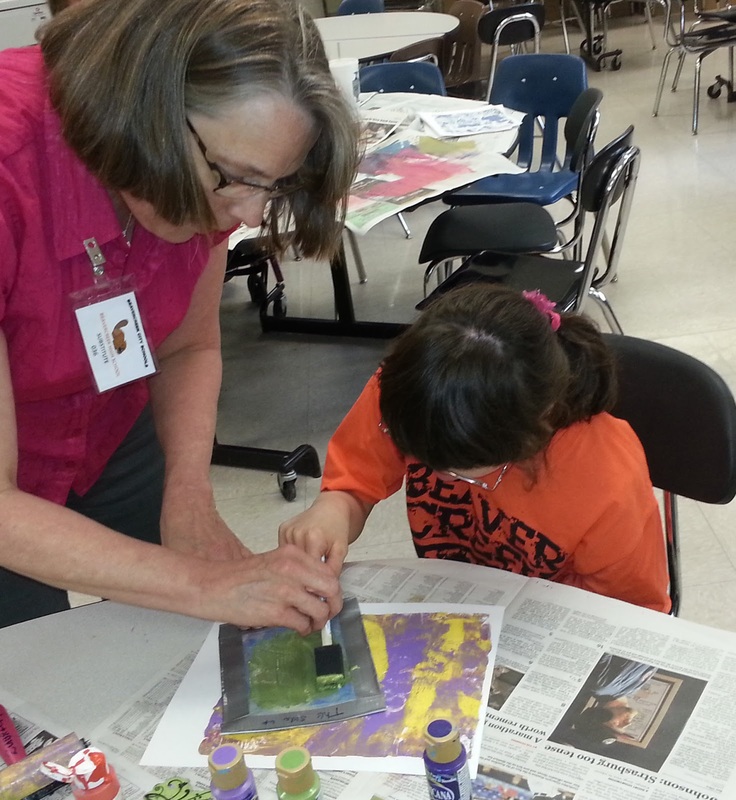 Look at all the cool prints we are making with Miss Diane's Gelli Plates! 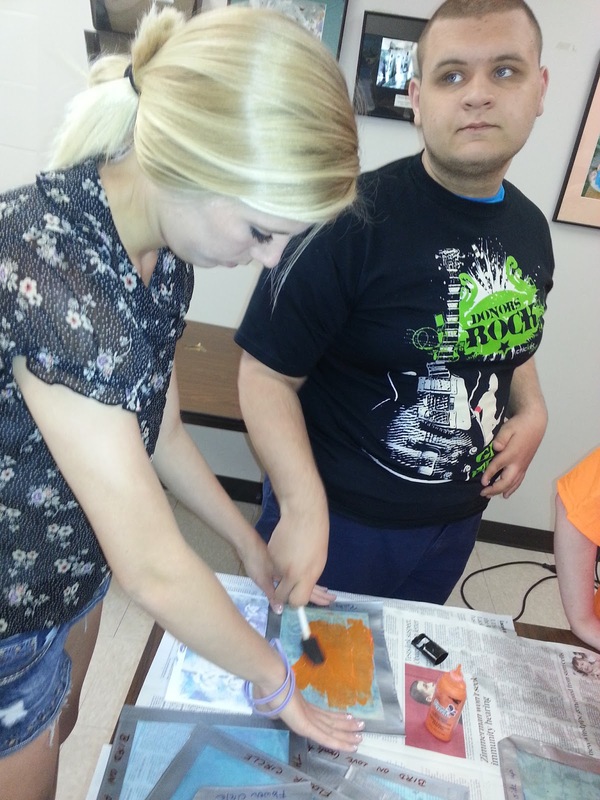 Austin is making a Gelli monoprint and he will silk screen an image over the print with a Thermofax silk screen. 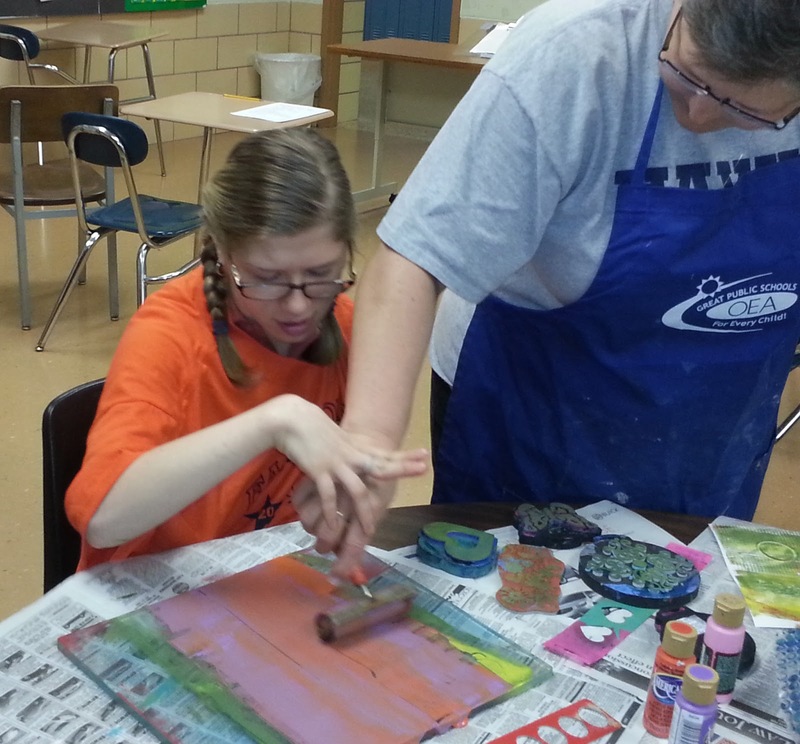 Hailey making a Gelli monoprint with help from Gretchen. She silk screened butterflies over her print. 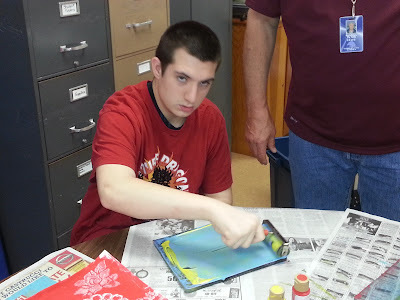 Michael and his peer helper are using a Thermofax Screen to print a dragon onto his Gelli print. Abby is getting a little help printing her Thermofax silk screen over her background Gelli print. I am having fun this week teaching my students monoprinting with Gelli Plates and silk screening with Thermofax silk screens. 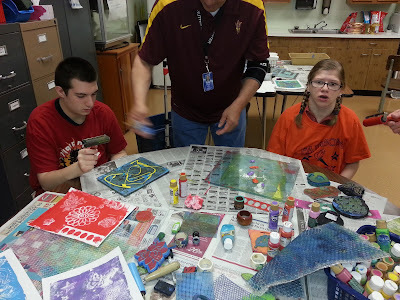 They had fun pressing different textures and large foam stamps into the acrylic paint on the Gelli plates. Then they chose a Thermofax screen image I made and they used Simply Screen paint to print the image over their Gelli plate background. We were all amazed with the beautiful results! Thanks to all the teachers, aides and peer helpers for their help! Thermofax screens are available on my Etsy Store - www.applecreekdesigns.etsy.com.